Call today to organise your viewing! 4 Bedroom Detached house with garage. Plot 2 is spacious family home built with a high specification. 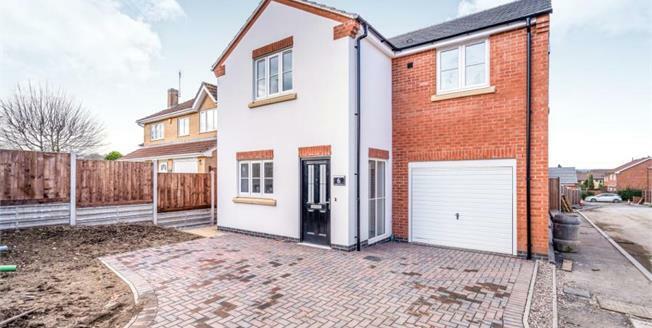 Located in a cul - de- sac within the popular area of Glenfield, this 4 bedroom detached family home offers spacious modern living. To the ground floor is a spacious lounge to the rear with velux windows allowing lots of natural light into the room, Quality Holmfields kitchen has been fitted with branded appliances and separate utility ground floor WC and access to the integral garage. To the first floor are 4 bedrooms, master with en suite and family bathroom. To the front of the property is a block paved drive for off road parking and electric door to the garage. To the rear of the property is an enclosed garden with patio area and lawn. Internal images are of Plot 1. Kathleen Close, Development of 7 quality new build homes.